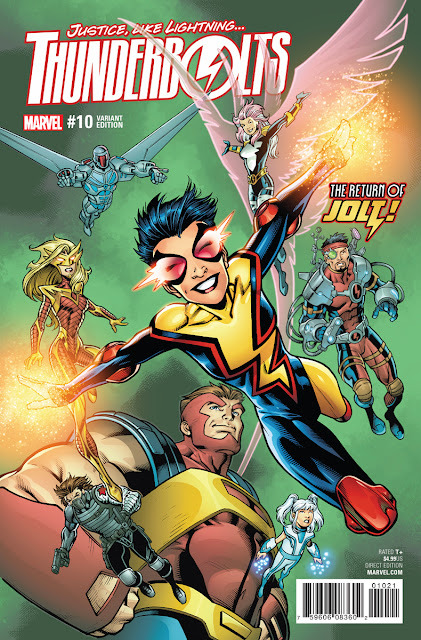 THUNDERBOLTS #10 Celebrates 20 Years of “Justice, Like Lightning” – Your First Look! 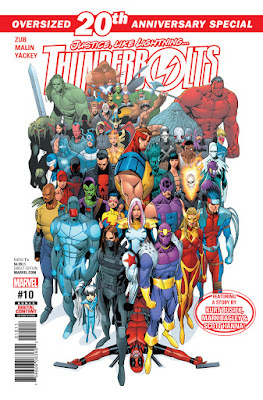 Featuring a Special Tale By Original Thunderbolts Creative Team Busiek & Bagley! New York, NY—January 27th, 2016 — Once upon a time, the Thunderbolts were the Masters of Evil, villains posing as heroes. Two decades later, their leader has returned…and Baron Zemo will reclaim the legacy of the Thunderbolts – with the infinite power of the cosmic cube! This February, Marvel celebrates the history of the Thunderbolts in THUNDERBOLTS #10 – a can’t-miss, oversized 20th anniversary issue! 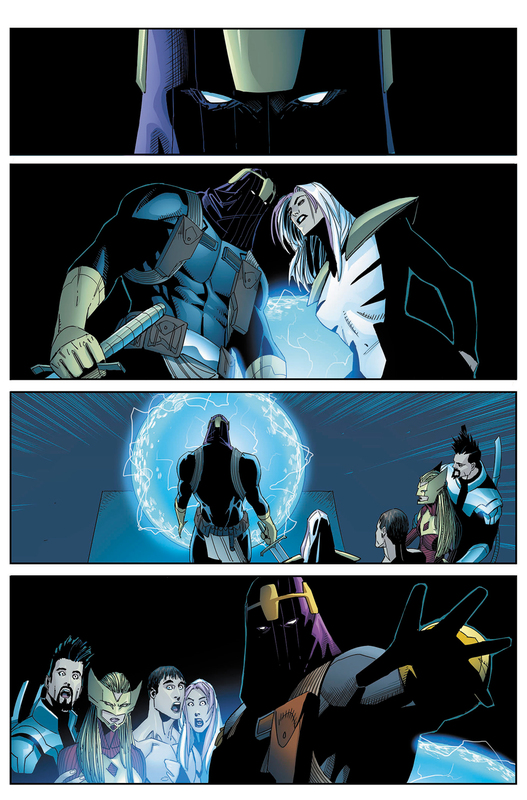 Kicking off the brand-new “Return of the Masters” story arc – creators Jim Zub and Jon Malin put Baron Zemo back on the board! 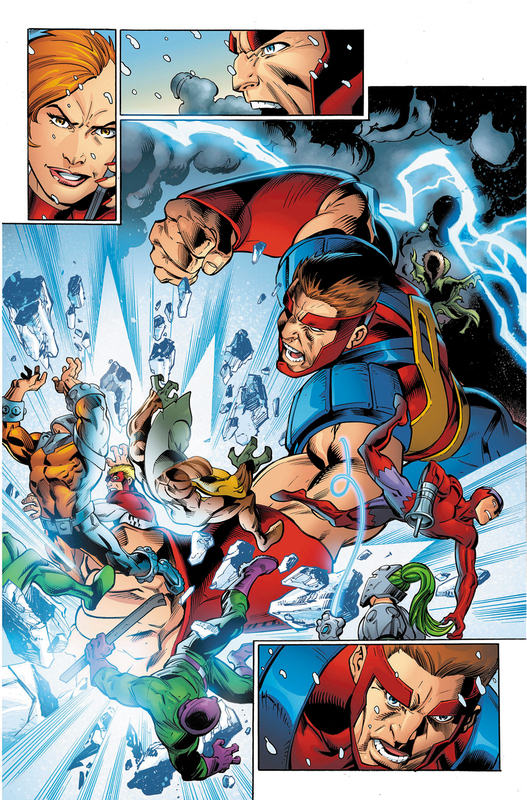 And he’s coming to reclaim what’s his – the Thunderbolts themselves! What will the Winter Soldier have to say about that? 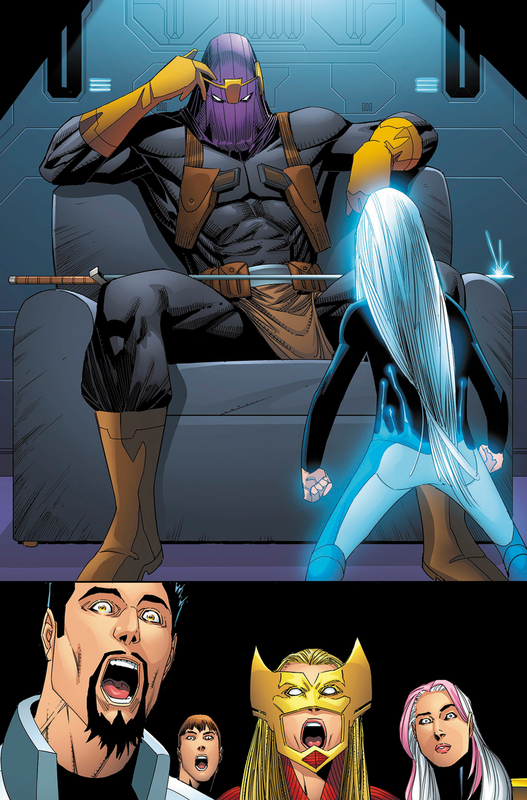 As Zemo seeks to attain power over Kobik, the sentient Cosmic Cube, how does that factor into Captain America’s sinister plans? But that’s not all! This oversized issue also features a special tale reuniting original Thunderbolts creative team Kurt Busiek and Mark Bagley! Witness the return of fan-favorite character Jolt in their first Thunderbolts story together in over 15 years! 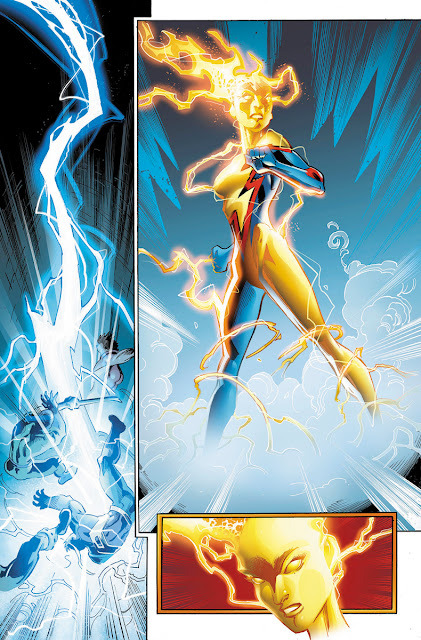 “Return of the Masters” begins on February 22nd in THUNDERBOLTS #10!